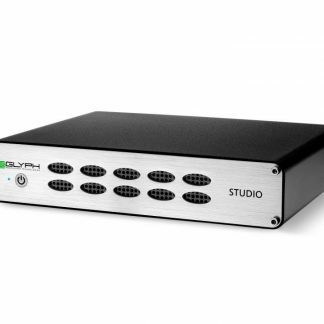 A portable RAID drive in a lightweight aluminium casing with legacy connections ideal for those on the move but needing speed. The mini has been designed from the ground up with high quality components to provide the fastest performance and ultimate reliability. 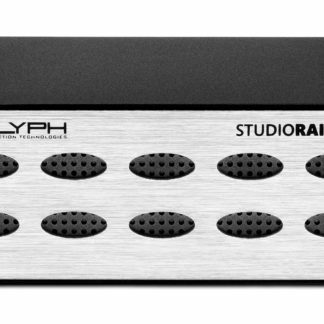 Glyph StudioRAID mini, what is it? 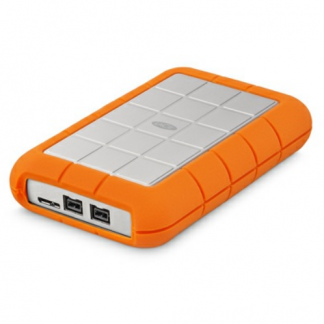 A portable RAID drive in a lightweight aluminium casing with legacy connections ideal for those on the move but needing speed. 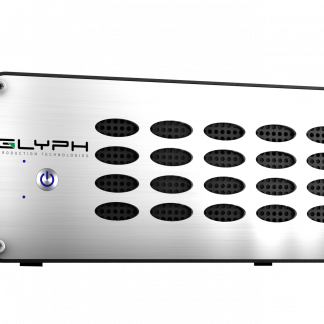 The mini has been designed from the ground up with high quality components to provide the fastest performance and ultimate reliability. 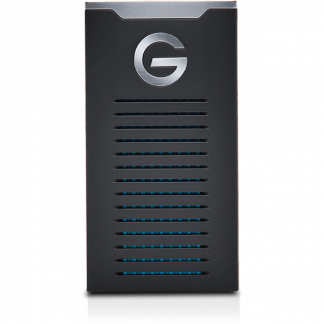 As a result your getting a drive built to last which is highlighted by its fantastic warranty. 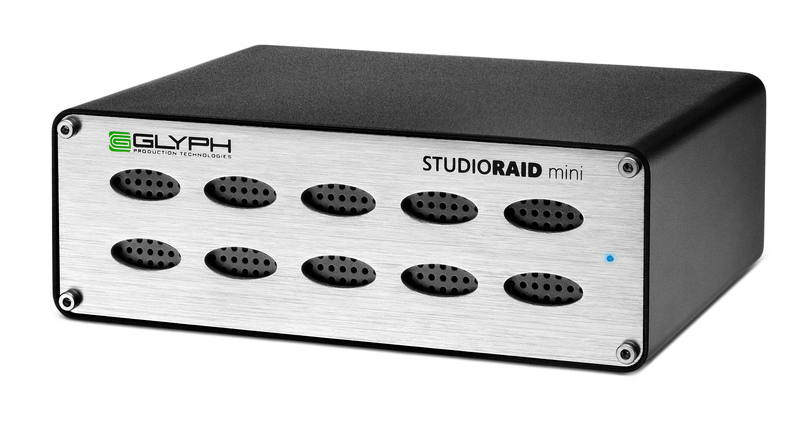 The studioRAID mini is perfect for any creative professional needing a high quality portable solution but with older connectivity build in and an extra bit of performance. 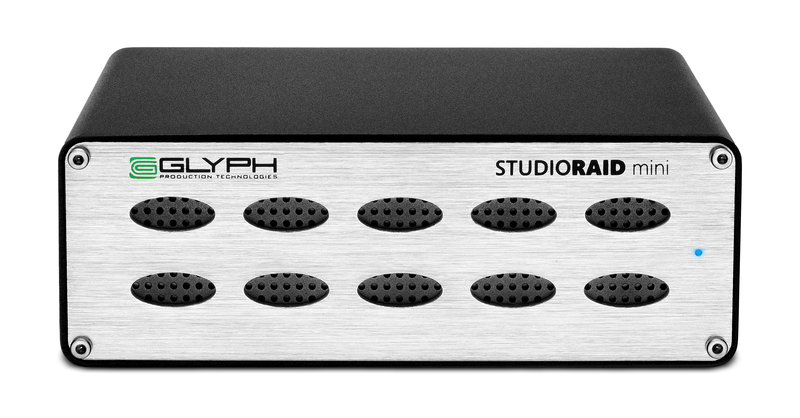 Glyph has always been favoured by Audio Pro’s but with this RAID capability it also works great with video media too or for backups with it’s RAID 1 feature. Expect speeds up to 250MB/s when set to RAID 0. The Glyph StudioRAID mini features eSATA, FireWire and USB 3.0 in addition it’s back compatible with USB 2.0 so you get a great deal of flexibility. 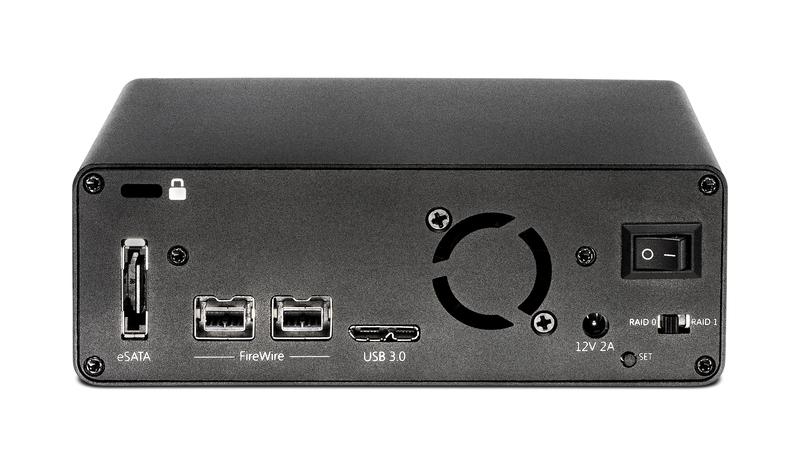 Formatted for MAC but a simple format is all it takes to make it PC compatible also. To ensure ultimate peace of mind the RAID mini comes with their 3-2-1 warranty featuring 3 years hardware support, 2 years Level 1 data recovery and 1 year advance replacement. 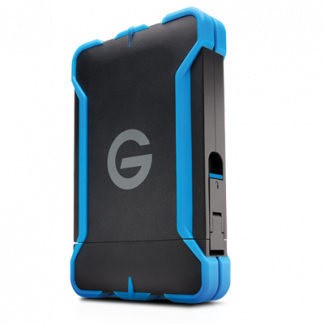 In conclusion, the RAID mini packs a punch and come with fantastic support.